These Are The Drinks You’ve Been Looking For! Certainly by the end of the year I’ve become a bit jaded on what I consider to be trends for the following year. Everyone wants to know what the “next best thing” is… Or what it’s going to be tomorrow, next week or in the coming months. It is here that I want to start my list of what I think, as a taste-maker- will be hot in the coming months. I’ll give a list with some explanation- just in case. Last September I was fortunate to attend the Moscow (Russia) Bar Show. It was enlightening, amazing and educational. I gave a master class on rum and traveled to the other side of the globe to find a country that for all intents and purposes is just like ours- except they speak Russian. They love us- we’d never know that from our press though. The Russians are passionate about American Whiskey. Want to know where all the Bourbon Whiskey is? Russia. So, I’ll start my list in Moscow. • Authenticity, Nostalgia, Simplicity. I was sent to the Moscow Bar Show by Mezan Rum. You would think that Russians would be preoccupied with vodka. Not so, they demand authenticity and that “Jerry Thomas” approach to history. Fine aged rum plays directly into this chess game. Rum that hasn’t been colorized, chill-filtered nor any added sugar, or saccharine allowed. Mezan fulfills this purpose and takes you further into the plethora of flavors that speak clearly to the métier of the rum distiller. Get some! I prefer the Jamaican version. There is a certain funk in each sip. Powerful stuff in a Planter’s Punch or even in a Rum-Manhattan. Make sure you use a Vermouth like Atsby, or Uncouth- even Carpano… But use the white one. The red is too sweet for these perfumed rums. • Whiskey from actual distilleries! What a concept- is it me, or are there more made-up names than usual on the store shelves? I actually had a friend ask me about a Bourbon the other day from a distillery that has never existed outside of a Madison Avenue advertising agency desk. The label appeared to be hand attached and the closure had the look of a cork stuck in the top of a bottle of Moonshine. There may have been leather involved. All it said to me was, stay far away. Authenticity in Bourbon takes guts these days. But should you find a true craft distillery- then by all means buy their stuff. They deserve your support. The big guys are ok, but cut out the fake-craft labeling. It’s confusing to the consumer! My favorites going forward, Barrell Bourbon, Few Spirits, Catoctin Creek, Hudson… They are my favorites for a reason. They speak the language of history. • Scotch from Scotland and other places – Ok, so they call them smoked whiskies when they are from other places. I don’t want to raise the ire of Scotch drinkers. Pardon me. Amongst my favorites going forward- Virginia Highland Malt Whisky- yes Virginia, they distill absolutely gorgeous whisky in Virginia. I’ve been making Bee’s Knees with Old St. Andrews Scotch Whisky- lightly aromatic of cut grass and toasted peat. Not overpowering with smoke, but to my palate, just enough. And that bottle! Looks like a golf ball. Brenne from France continues to please and going forward I would say that any releases from this marvelous producer will challenge even the most snobbish of the Whisky drinkers. I had some beautiful Scotch Whisky in Russia that dated back to the mid 1960’s… If you can find any of these, save your pennies… They are worth every cent. • Rhum Agricole. Certainly you should be drinking Rhum Agricole… Don’t just put a bottle on your bar and forget about it. I continue to wax poetic about the mysterious flavors that appear and disappear in each sip of Rhum Agricole. One of my favorite ways to drink this perfumed slice of Rhum history (yes they use an extra h in Rhum in the French West Indies) is with a chunk of lime (with the skin on) and a couple splashes of Cane Sugar Syrup… This is so simple! Anyone can choose their own demise by making this drink as strong or as weak as they desire. Thank you to Ed Hamilton for teaching me what I needed to know in the first place. • Flavored Syrups and Shrubs. What is a shrub? 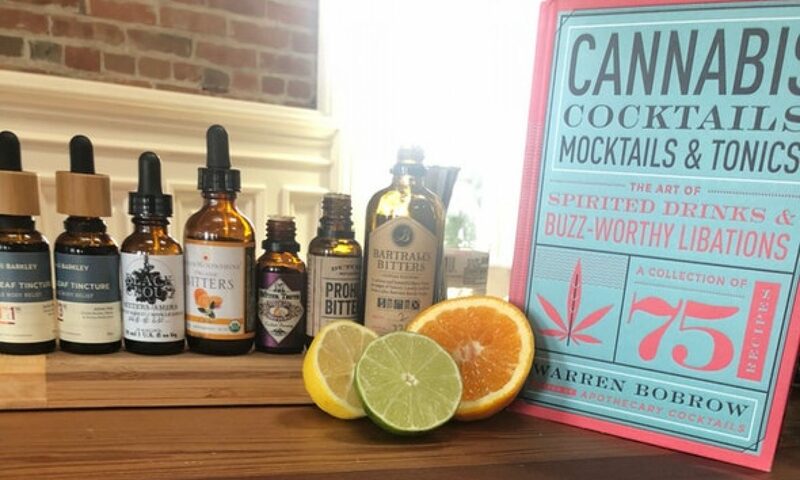 My third book, Bitters and Shrub Syrup Cocktails defines a Shrub as an acidulated beverage, historically used as a method of aiding digestion and for refreshment- as an energy drink. In the days prior to soda, a touch of vinegar, sugar and fruit along with cool water would satisfy most thirsts. Flavored syrups make our jobs as bartenders and mixologists much easier. Amongst the very best that you can buy are: Royal Rose… Fruitations (I’m just blown away by their Cranberry), Pickett’s from Brooklyn (yes, that’s a place and their hot ginger syrup is world class) Shrub and Company, Shrub Drinks, Liber and Company. All delicious and lip-smacking. Powell & Mahoney is my go/to for Pomegranate Mixer- yes- even I use a pre-mix for some events. • Craft Soda… With too many names to mention, but I’ll mention a couple. Q-Drinks- they’re magnificent. The Club Soda has a pinch of sea salt- keeps you thirsty! I’m thrilled by some of the Root Beers that come down from Bar Harbor in Maine… I love to drink Boylan’s and Bruce Cost sodas when I want something even more authentic. Dry Soda is just amazing stuff- the cucumber variety is crisp and refreshing. • Hard Cider. Possmann’s from Germany is my go/to. This lightly sparkling cider is all apple and just the right amount of fizz and alcohol rolling in at 5% abv. I’ve had it on tap in the New York/Metro area and if you see it, get some… immediately! Farnum Hill from up in New England continues to charm my palate as well. There are some Spanish Ciders that are just so assertive- Burgundy wine comes to mind. Barnyard notes and crushed stones come into view, sip by sip, if you dare! They are just different styles from Spain. I much prefer the German ciders, at least for my palate. • Tequila. I don’t know what happened to Tequila, but I’m tired of Tequila that tastes like Bourbon. Maybe it’s because they age the distillate in used Bourbon casks? Absolutely, this is why your Tequila tastes sweet. It’s in the cask! I much prefer the rare and usually a bit more expensive versions like Casa Noble- aged in French White Oak. This is a much more expensive method, but worthwhile in my opinion. • Mezcal… It’s mysterious like a high fever in the middle of Summer. There’s smoke in there- lots of stuff going on in your imagination. If you want to really challenge your palate, in a good way… Taste Mezcal. Of course if it has a worm in the bottle, throw it out immediately. This is not the real thing. It was invented, yes again… by one of those ad agencies. No one eats the darned thing! • Gin. Stick to what you like and I love Barr Hill from Vermont. The Tom Cat, aged in American Oak is my preference in a snifter- for a perfectly marvelous gin and juice – use nothing more than the raw honey and grain distilled Barr Hill Gin with freshly squeezed- broiled grapefruit in a muddle. A splash of Q-Tonic water and a couple dashes of Angostura to finish… All good. Happy New Year! Next PostNext Spirited Miami’s 2016 Most Anticipated Cocktail Books! !